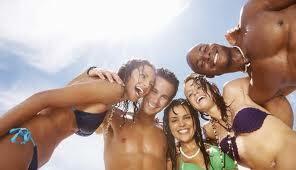 Spring break is like a little teaser that gets you through the remainder of the semester and safely on to summer. Whether you’re hanging onto those last bits of winter or trying to start summer a few months early, there are always fun and creative ways to get the best out of that one-week of endless possibilities known as Spring Break. Break only lasts for one week, so picking the perfect location (or various locations) is key. For those beach babes who enjoy the salt water, the warm sand, and sun’s rays, try something new. Instead of spending all week soaking up the sun in one beach location try day tripping to different beaches throughout the week. Not every beach looks the same. Each beach has its own vibe and attracts different groups of people. You can spend an afternoon hiking through nature trails and visiting marine life at Loggerhead Park and Loggerhead MarineLife Center in Juno, Fla., or you can spend a few nights camping out on Peanut Island in Riviera Beach, Fla. And for those party people -- there’s never a dull moment on Miami’s South Beach. Either way, experiencing more than one place by taking mini road trips is a great spring break excursion -- it’s a beach vacation and a road trip rolled into one. Lastly, round things off with a musical playlist. No trip is complete unless there is a playlist to reference every crazy moment. Here are 25 songs (in no specific order) that are sure to have you singing, dancing and raging throughout the entire week.